Behind every migration statistic, there are individuals or families starting a new life in a new place. Local authorities, in co-ordination with all levels of government and other local partners, play a key role in integrating these newcomers and empowering them to contribute to their new communities. Integration needs to happen where people are: in their workplaces, their neighbourhoods, the schools to which they send their children and the public spaces where they will spend their free time. This report describes what it takes to formulate a place-based approach to integration through concerted efforts across levels of government as well as between state and non-state actors. It draws on both quantitative evidence, from a statistical database, and qualitative evidence from a survey of 72 cities. These include nine large European cities (Amsterdam, Athens, Barcelona, Berlin, Glasgow, Gothenburg, Paris, Rome and Vienna) and one small city in Germany (Altena), which are the subject of in-depth case studies. The report also presents a 12-point checklist, a tool that any city or region – in Europe, the OECD or beyond – can use to work across levels of government and with other local actors in their efforts to promote more effective integration of migrants. What challenges for accelerating #migrantintegration? The integration of migrants is one of the most formidable tasks policy makers in OECD countries face. The sheer scale of migration necessitates a concerted effort to make integration a success. If integrated successfully, migrants can contribute to host countries in multiple ways, not least of all, economically. At the same time, integrating migrants and refugees can be challenging, especially because they constitute highly diverse groups, consisting of different genders, ages, cultural backgrounds with different motivations, skill sets, educational levels and experience. 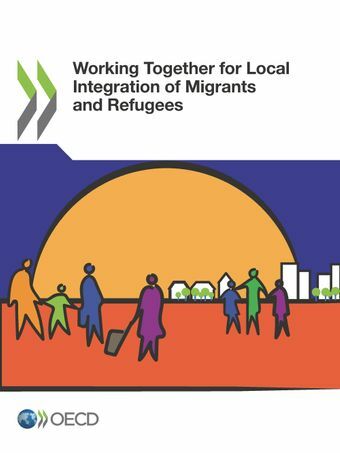 Find out more about OECD work on territorial approaches to migrant integration. For further information or comment, please contact claire.CHARBIT@oecd.org or anna.PICCINNI@oecd.org. Journalists should contact the OECD's Media Relations Division at (33) 1 45 24 97 00 or news.contact@oecd.org.